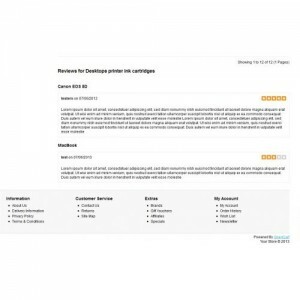 - This vqmod will add a list with all the products' reviews on the category page. - It will be displayed at the bottom of the products list. - It shows the product name and the review for it. 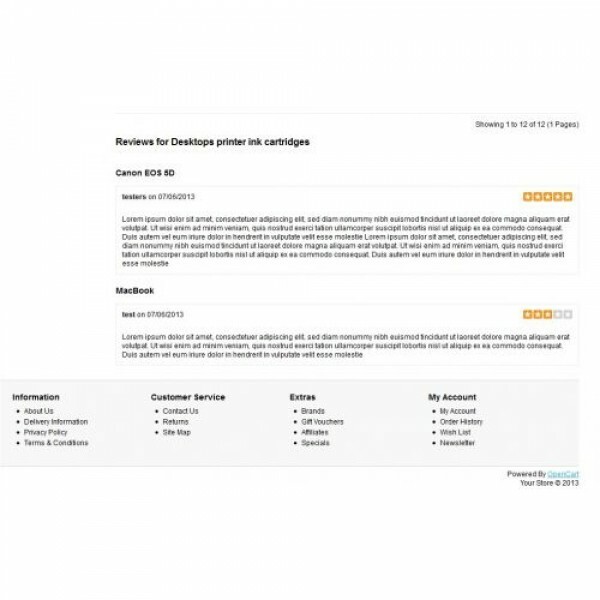 - This will help you if you want to show reviews on the category page, so the client will know that this is a popular category and that people have bought from it. - Client will not have to check each product for reviews, they will just know it when visiting the category page. - For any other custom modules, custom extensions or any other custom OpenCart work feel free to contact me by e-mail.